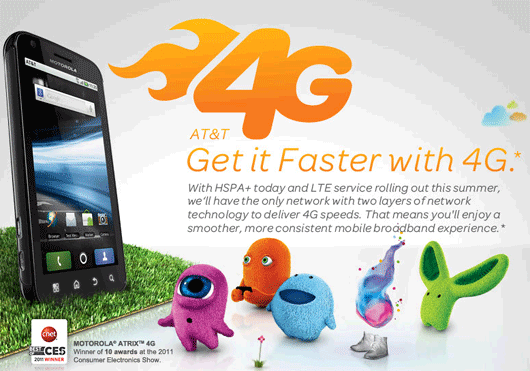 AT&T already has one of the world’s strongest, and fastest, 4G networks with their HSPA+ network. And their lineup of 4G smartphones is impressive as well with the HTC Inspire 4G, Motorola Atrix 4G, Samsung Infuse 4G, and the USBConnect Force 4G. But as it stands now, when HSPA+ is not available, the speeds fall back to whatever is available, typically the 3G connection. But with AT&T bringing on the LTE network for 4G coverage, this will make them the first mobile phone company to provide both the LTE and HSPA+ network coverage. The combination of the LTE and HSPA+ 4G network will give 4G users a smoother, more consistent experience and allowing users a wider range of 4G coverage with their mobile devices. The announcement was made yesterday by AT&T senior vice president of mobility and consumer markets Pete Ritcher. And it was announced that the initial launch will cover 5 cities.